statistics and hemerographic information concerning the issue. Among many other statistics and information, the report reveals that only 8.4 % of criminal prosecutions lead to a conviction, contributing greatly to the impunity with which criminal acts are committed in the county. Gold mining arbitration to commence in Washington, D.C.
On El Salvador’s Independence Day, September 15, the country will face a major challenge to its actions in placing a moratorium on gold mining in the country. Five years after it began, the international arbitration between Pacific Rim (now owned by OceanaGold) and the government of El Salvador starts its final hearing next week in Washington, D.C. The legality of the mining moratorium and its impact on foreign gold mining companies will be judged by an arbitration panel of international legal experts. The hearing will begin on Monday and last for six days through the following Saturday. The official parties to the arbitration are the government of El Salvador and Pac Rim Cayman, LLC. Pac Rim Cayman is ultimately owned and controlled by OceanaGold, an Australian gold mining company which purchased Pacific Rim Mining Corp. in 2013. 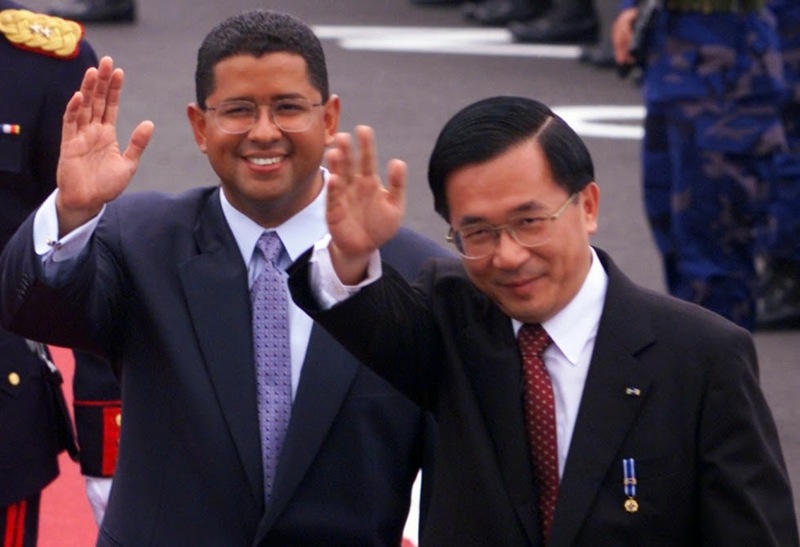 Former president of El Salvador Francisco Flores has been a fugitive from justice since it was revealed earlier this year that he would be charged with corruption in connection with the use (or misuse) of millions of dollars from Taiwan. 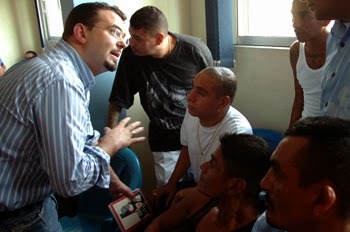 Today, he suddenly appeared in El Salvador and presented himself in court to face the charges against him. As a provisional measure, the judge handling the case ordered Flores to be held under house arrest while he is prosecuted for corruption. The Spanish priest known as Padre Toño was found guilty today of bringing contraband into prisons as part of a plea agreement with Salvadoran authorities. The country's attorney general has been prosecuting the priest for alleged collaboration with the country's powerful street gangs. El Salvador's second left wing president, Salvador Sánchez Cerén, is not enjoying the same high approval ratings which his predecessor Mauricio Funes enjoyed. According to a poll released today by La Prensa Grafica, the new president from the FMLN only has a 40% approval rating among those polled. In contrast, Mauricio Funes enjoyed an 84% approval rating, the highest among all Latin American presidents, at the same point in his administration. A slow but steady reduction in povertySignificant differences between urban and rural areasA growing vulnerable population who have escaped poverty, but have not achieved middle class status.A middle class which is actually shrinking The first set of charts comes from El Salvador's annual national multi-purpose household survey. Average monthly household income has increased every year since 2010 to $660 in urban areas, but only $361 in rural areas. Poverty has declined to a level of 30% of households, with rates ranging from 26% in urban areas to 36% in rural areas. Extreme poverty, which increased in 2011, has declined in the past two years, falling to levels of 7.1% nationally, 5.7% in urban areas and 9.8% in rural areas.